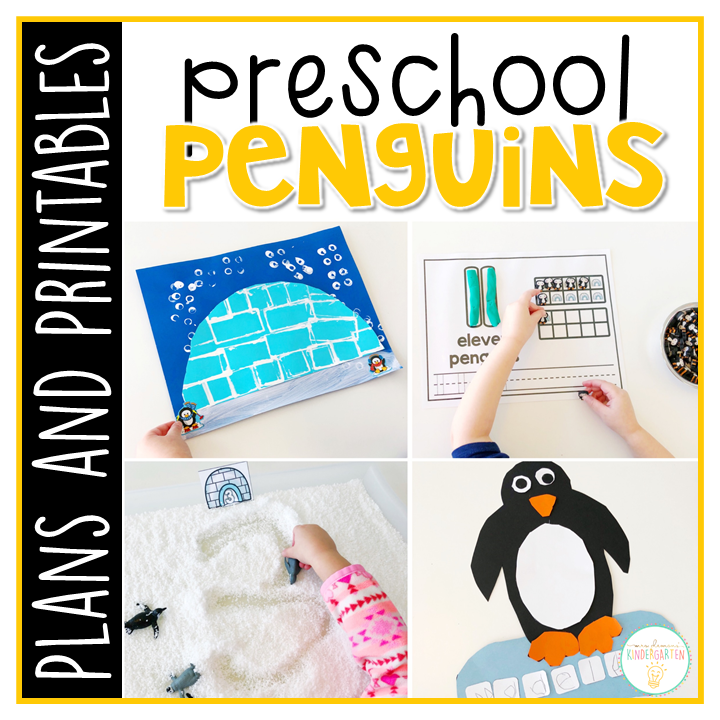 Madelynn loves penguins and winter is the perfect time for some polar animal fun. 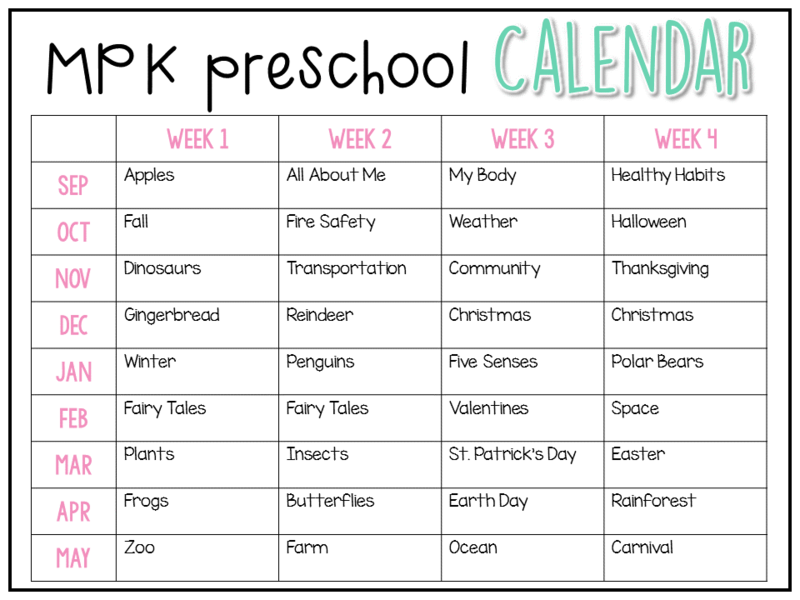 This week we had all kinds of fun with these adorable waddling animals. Our first book this week was If You Were a Penguin by Florence Minor. 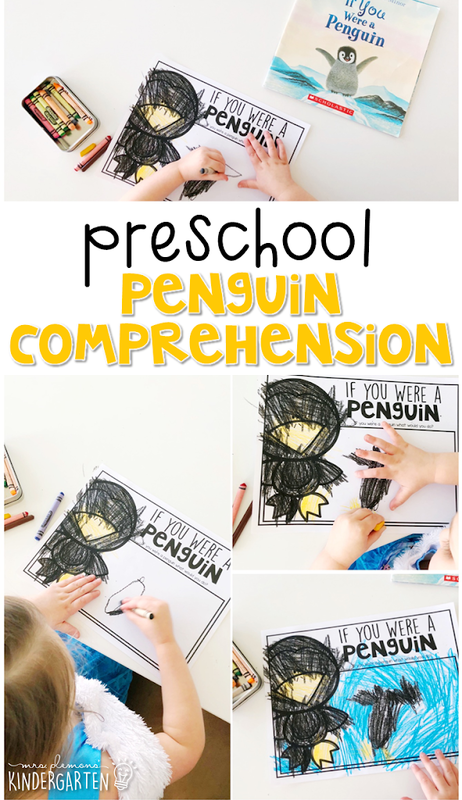 After reading, we talked about all of the different things the penguins did in the book. Then I asked Madelynn what she would do if she were a penguin and had her draw it on the response page. Madelynn said she would swim and fly through the water. Our next story was the loveable Tacky the Penguin by Helen Lester. After reading Madelynn drew pictures to show what happened in the beginning, middle and end of the story. 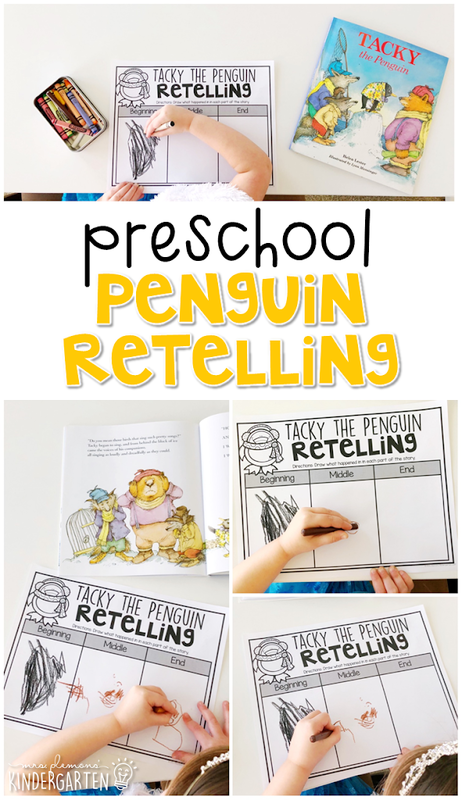 Next we read Penguin Chick By Betty Tatham. 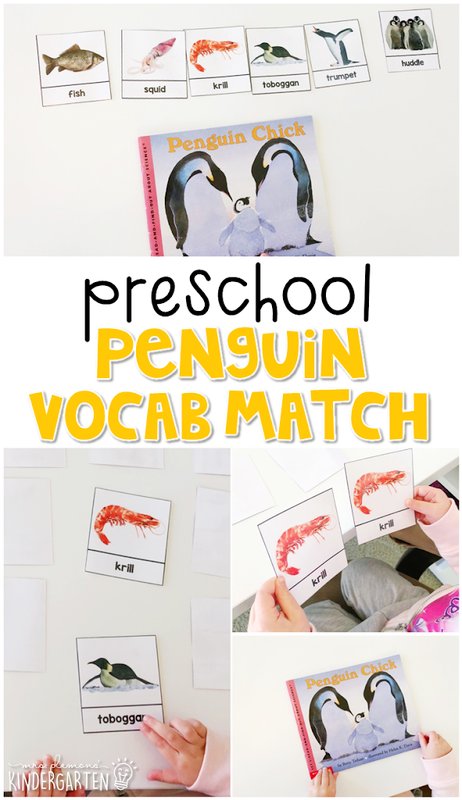 After reading we used cards to match penguin related words to pictures. I emphasized the beginning sounds to help her choose and match the correct word to the picture.Then I printed a second set of the same words and we used them to play a memory matching game. 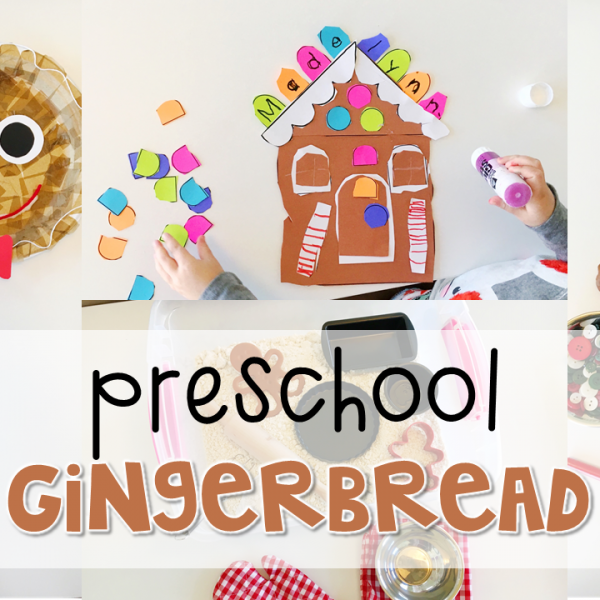 This gave Madelynn more practice with identifying the pictures and using the new vocabulary. 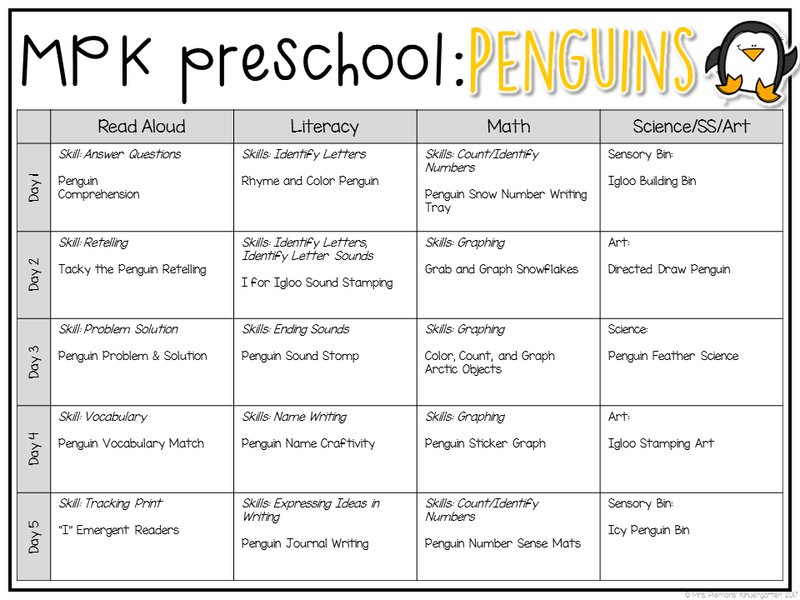 Our last book was this Penguins Can Go book from our Scholastic Guided Science Readers set. Madelynn is starting to read easy level A books with patterned text. After I read the first page she used the pictures to read the remaining pages. I drew her attention to the first letter in words as needed. Next, for more letter practice we used our dot stampers. 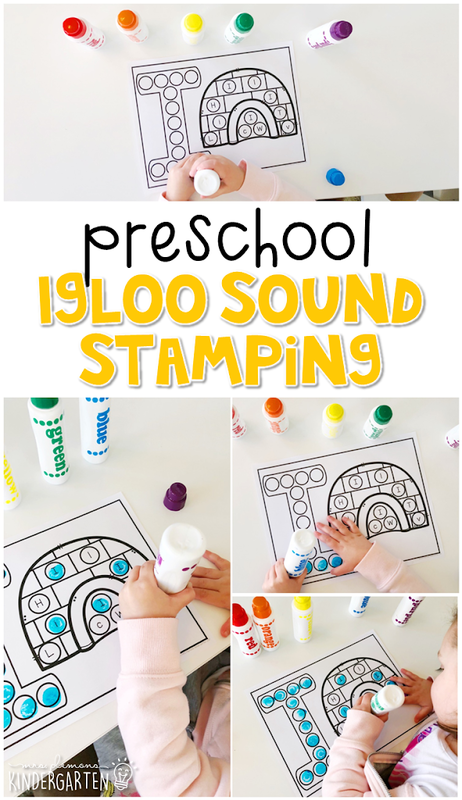 We started out stamping inside the letter to make an I for igloo. Then Madelynn had to find the upper and lowercase i’s in the igloo, stamp them and make the “I” sound each time. 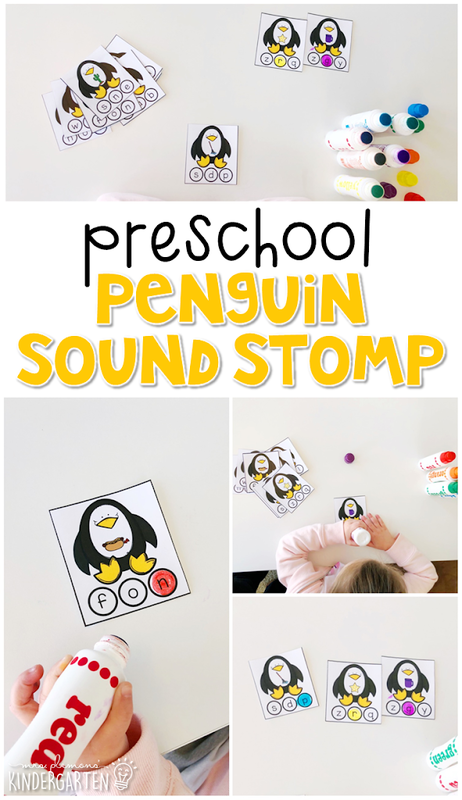 This week we continued to focus on ending sounds with this penguin stomp activity. Madelynn choose a penguin card and identified the picture. I helped her say the word slowly as she listened. I had her listen for the ending sound and she used a dot stamper to stamp it. 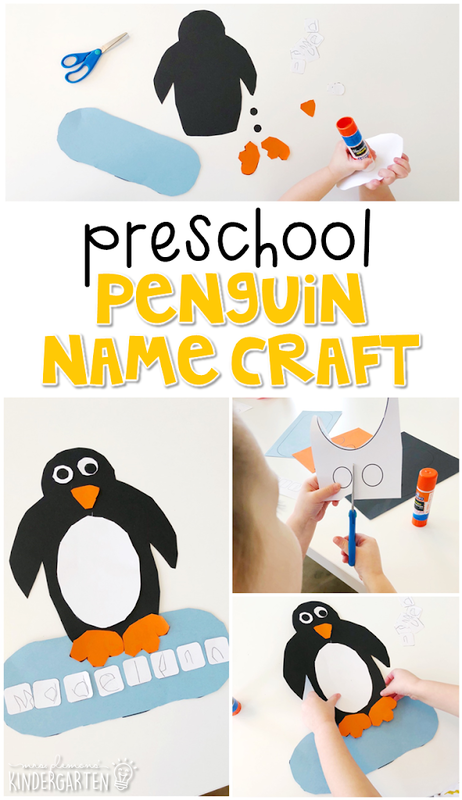 For this week’s name craft we created this adorable penguin. First Madelynn cut the penguin pieces out. Then she wrote the letters in her name on each of the ice cubes. 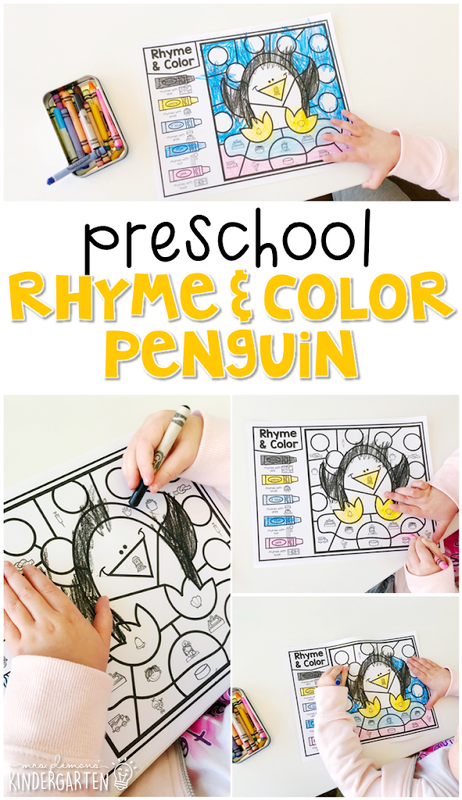 After she finished writing, she glued the penguin pieces together and glued the penguin to the ice. Then she added the ice cubes to the ice in order to spell her name. 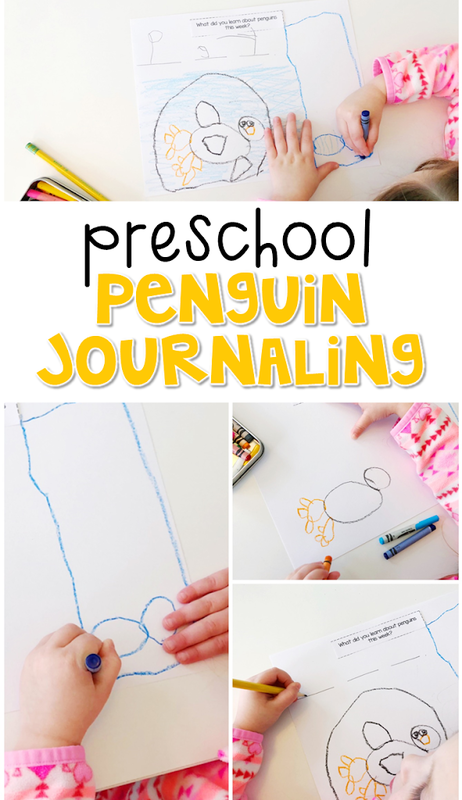 For our journal this week Madelynn chose to draw and write about what she learned about penguins. 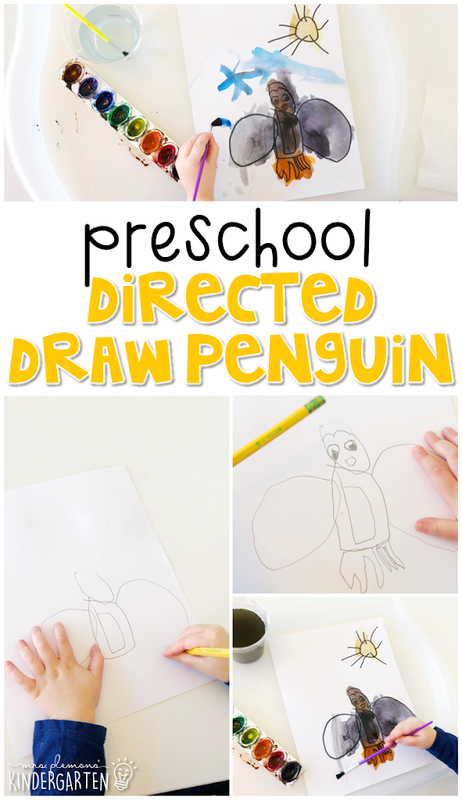 She drew a penguin swimming and looking for fish. 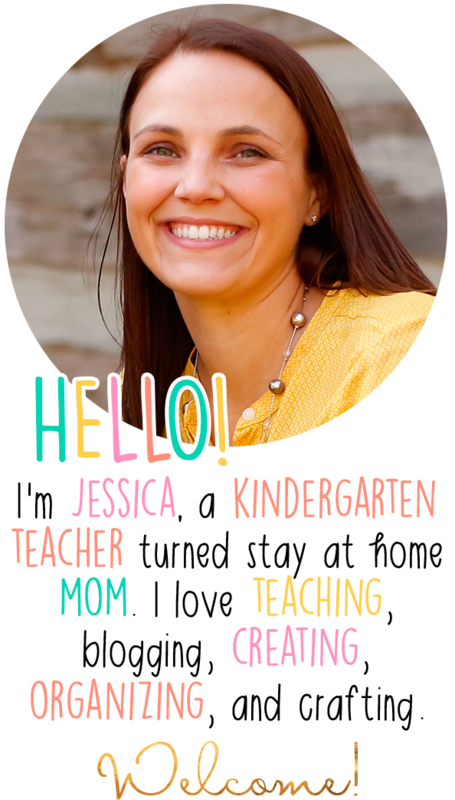 This week we ventured into writing a full sentence instead of just labeling the picture with a word or two. Madelynn said “Penguins eat fish.” In order to help her write an entire sentence I drew one line for each word. This helped her to visualize and seperate each word and focus on just one word at a time. We are back to one letter for each word this week “P e f” but writing a sentence is a huge step! 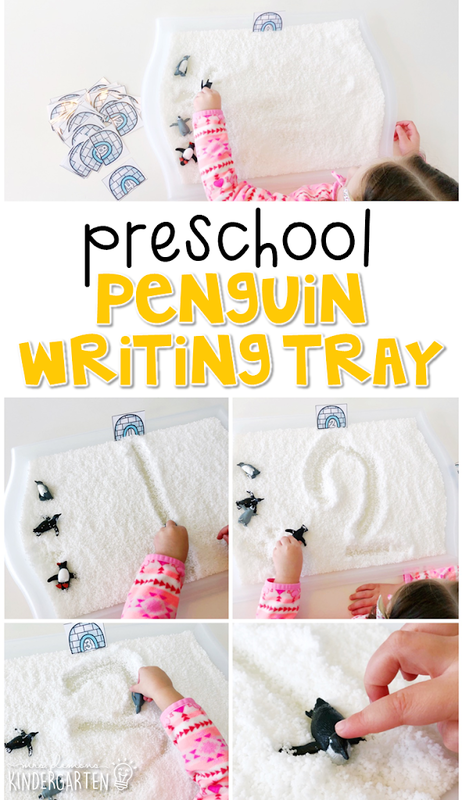 Our first math activity this week was a penguin themed writing tray. I filled our clear tray with instant snow. 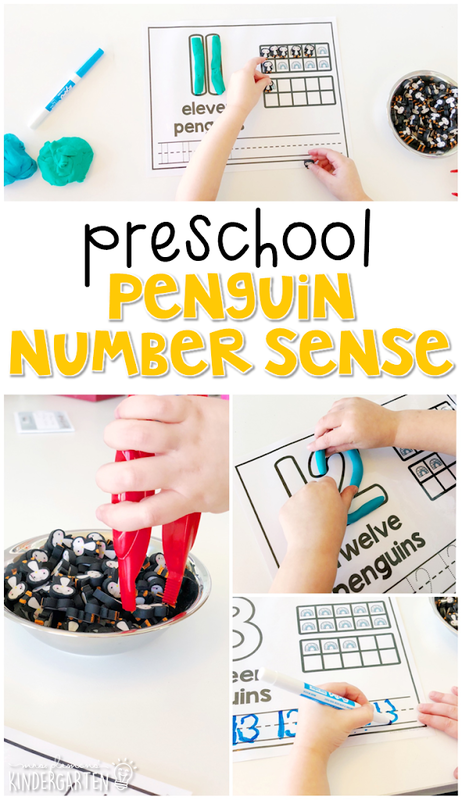 Then Madelynn used small igloo number cards as a model to write numbers in the snow with penguins or her finger. Our new math focus for the week was graphing. We started out with a picture graph with only 2 colors. 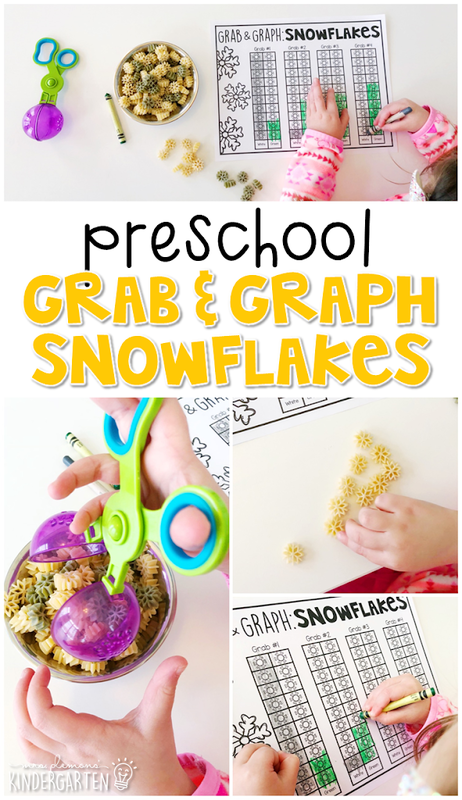 I filled a bin with this fun winter pasta then Madelynn used fine motor tools to grab a scoop full of snowflakes. Next she sorted them. Then she counted how many of each color and filled in her graph. She repeated this 4 times for even more practice. For our next graphing activity, Madelynn and I played I spy. 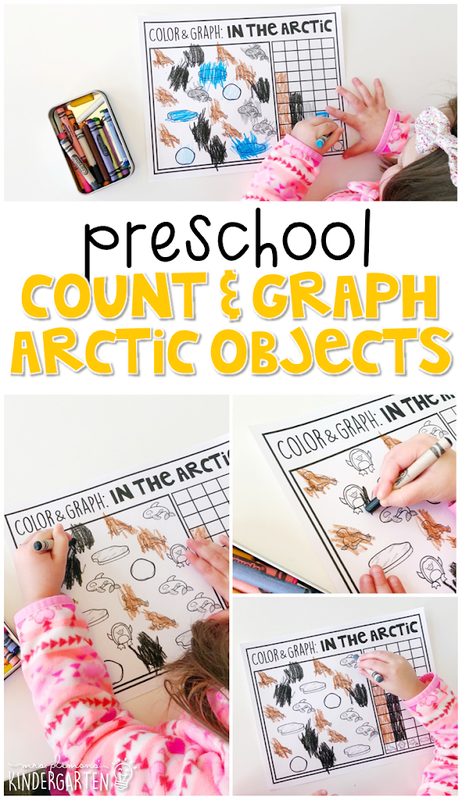 First I said “I spy seals that are brown.” She then had to find the item I named, color each one, count them and color in her graph. This was a lot of steps to follow so I helped her along the way, but she really did great following along! We repeated the “I spy” game with each arctic object on the page. Like most kids, Madelynn loves stickers. 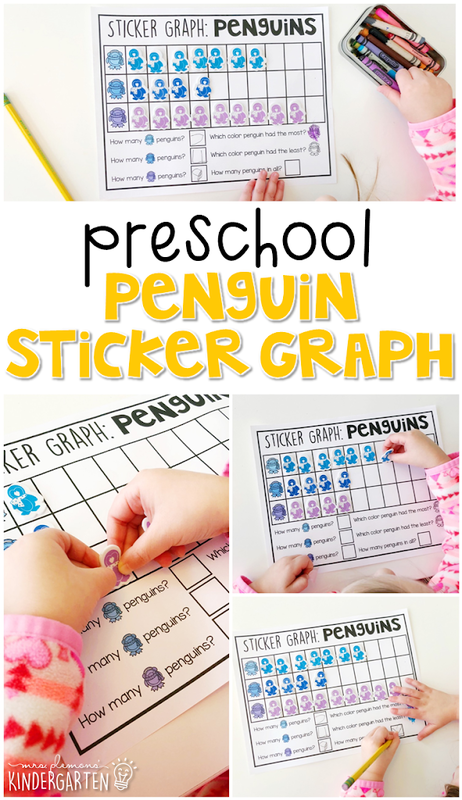 I found these foam penguin stickers in 3 colors and knew they woul mak a great picture graphing activity. She sorted, stuck them to the page, then counted to answer the questions at the bottom. We used these mats to practice numbers 11-20 this week. First, Madelynn identified the large number. 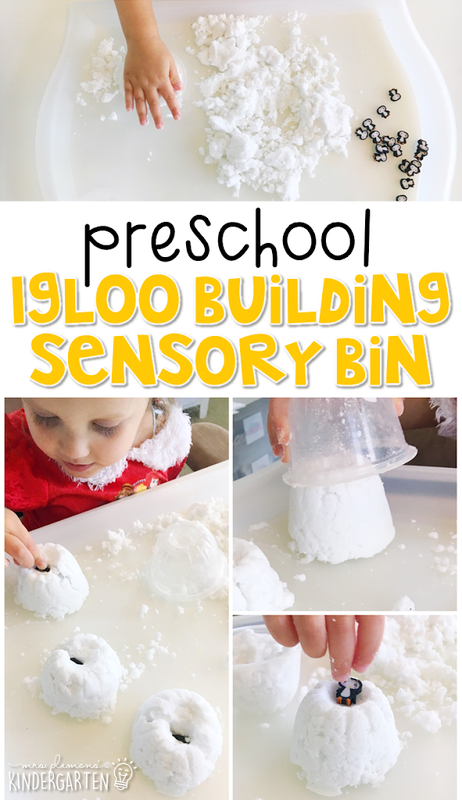 Then she made it with play dough and counted the igloos in the ten frame. Next, she used a dry erase marker to practice writing the number, and finally counted out penguin mini erasers to fill each igloo. 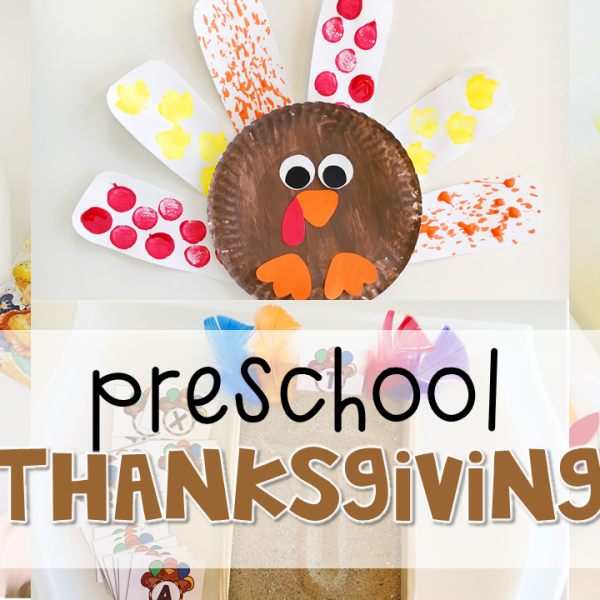 Mix 1 cup of baking soda with 1 Tbsp. of white hair conditioner (or water). Add more tablespoons one at a time, until the mixture forms a wet moldable consistency. 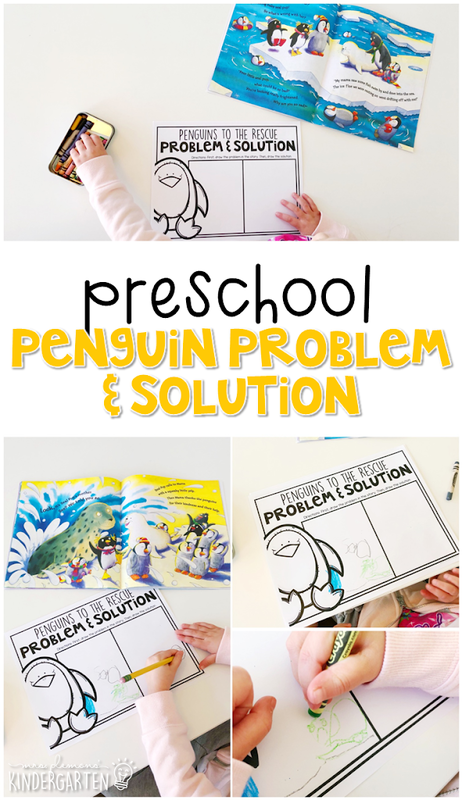 For this directed drawing I drew one part of the penguin at a time on my paper, and Madelynn followed along by drawing the same or similar shape on her paper. She is quite the perfectionist, so I had her use a pencil in case she wanted to erase try any part of the penguin again. Then I quickly outlined the entire penguin with a black crayon. 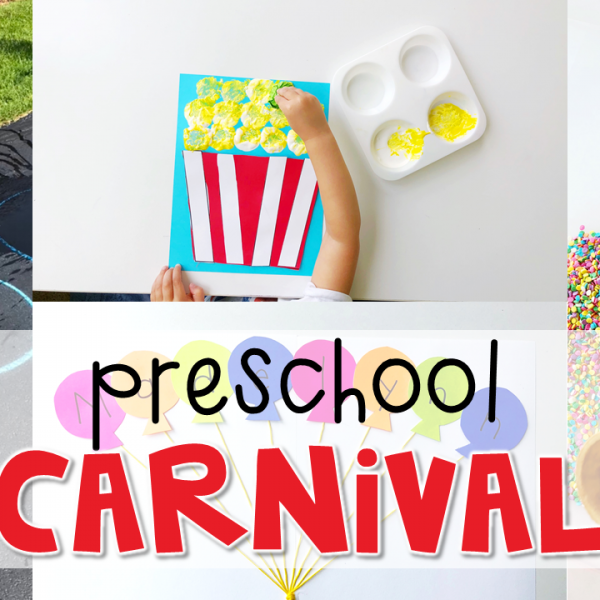 (You could definitely skip the pencil and start with a black crayon to save time.) To finish off the project, Madelynn used watercolors to paint her penguin and add details to the background. 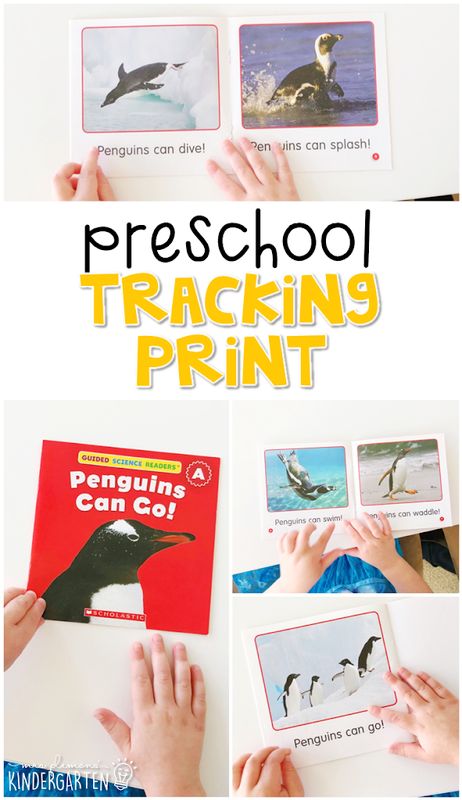 For a this animal investigation, I printed a penguin outline and ha Madelynn color the entire penguin with crayon (including white for the belly.) Then I filled a spray bottle with water and tinted it blue. Madelynn used the water to spray the entire paper and watched as the water rolled off the penguin. 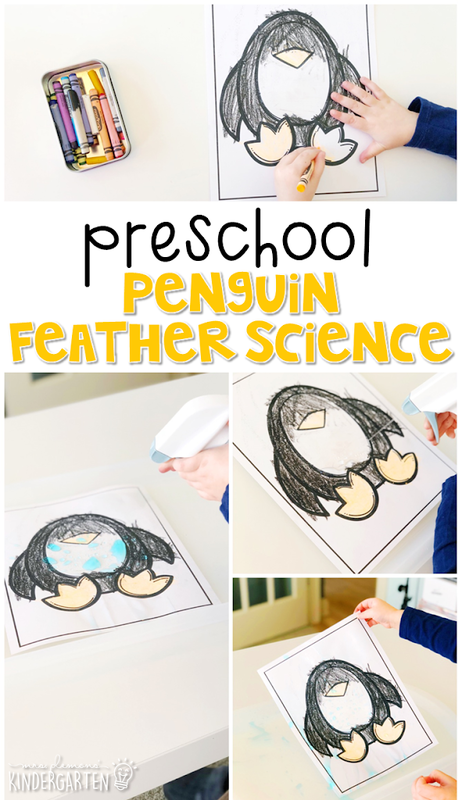 We talked about how many penguins live in cold climates so the feathers help keep the freezing water away from the penguins body. Our second art project this week was this stamping project. 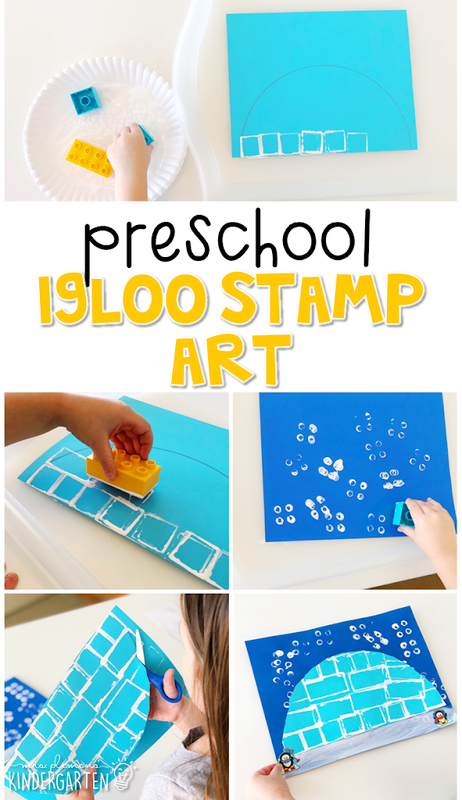 Madelynn used a building block to stamp rectangles on a light blue semi circle page with white paint. 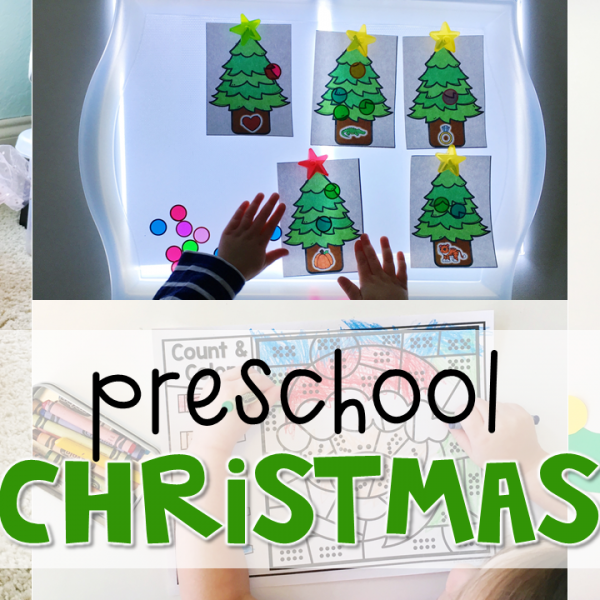 Then she stamped the other side of the block with circles on dark blue paper for snow and painted the bottom of the page white. 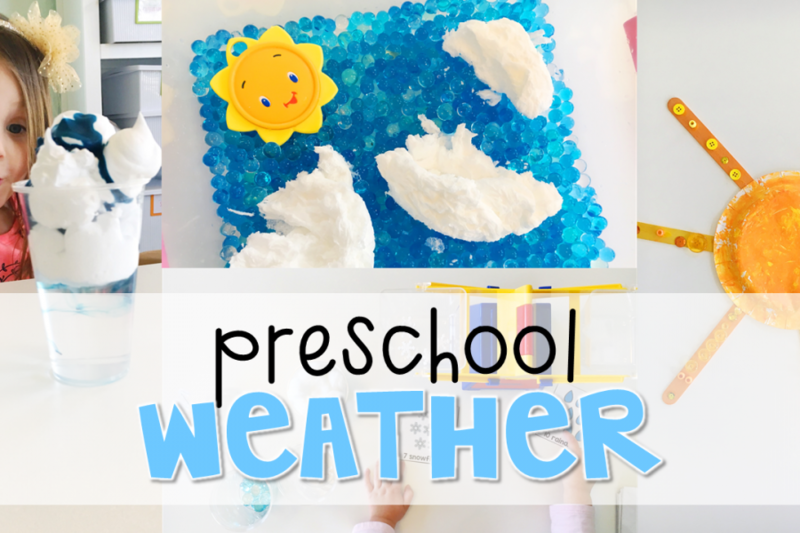 After both pages were dry, she cut semi circle igloo out and glued it to the dark blue background. 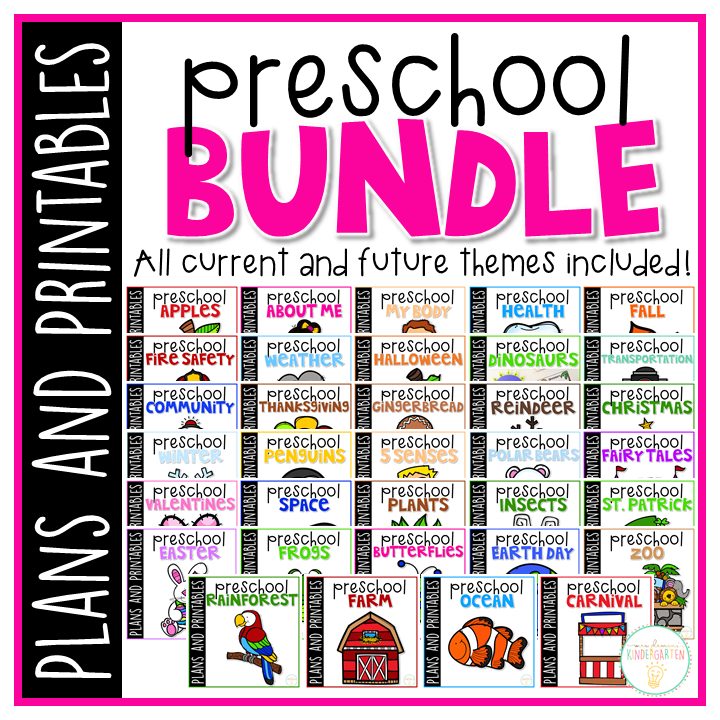 And finally she added penguin stickers. 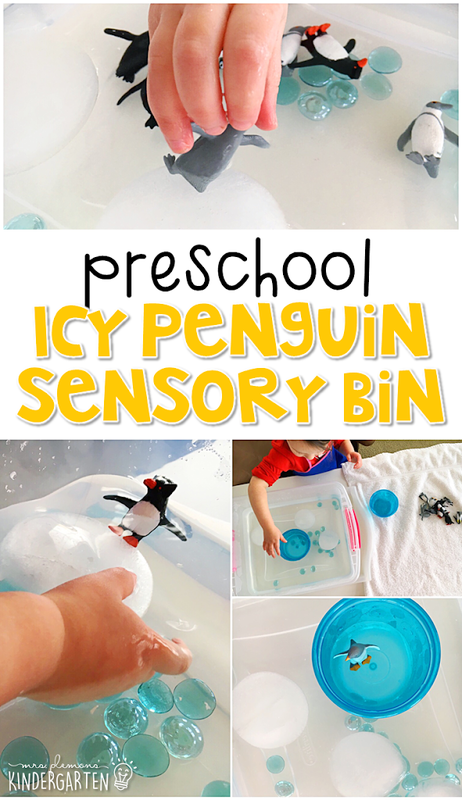 In this sensory bin: penguins from our Penguin Toob, blue gems, frozen icebergs, bowls, and water. 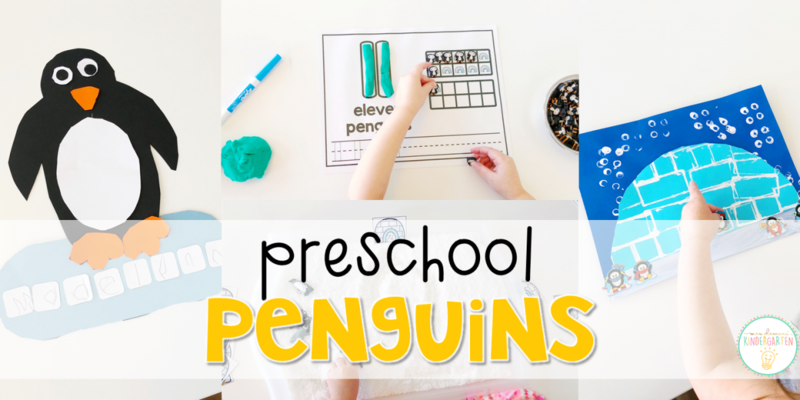 I like your idea of using different parts of the legos for your art project as well using the penguins to write in the sensory writing. Thanks for sharing your ideas.